“This is really beautiful music. Great chord changes and melodies. ‘Like the lyrics too. I’ve known NewK for over 10 years now and had no idea he was this kind of a musician. I’m very impressed.” – Jon Cowherd. “An artist who I have loved for a very long time has released a touching and wonderful new EP. NewK explores life and love through an astonishing array of melody, harmony and key changes that continually challenge, surprise and delight. John lives with sincerity which communicates in every moment of this music. 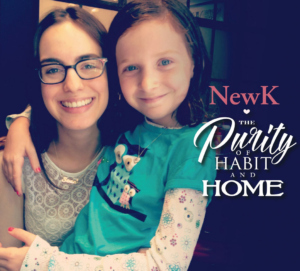 Please take a quiet moment and listen to songs straight from a beautiful heart.” – Anita C. Smith – Denver, C.
…what folks are saying about NewK: The Purity of Habit and Home, now available on Amazon Prime! This 6 song CD is also available on CD Baby, iTunes and you can listen to all 6 tracks in their entirety on YouTube. Please check out the music and let us know what you think. Post your comments on NewK’s page on Facebook. The lion’s share of my professional experience has been in the Sales & Marketing of Music: half a dozen years in Music Retail (1976 – 1982); 28 years (1982 – 2010) with the same company (Polygram / Universal) in the Recording Industry in Sales & Marketing; and for the last 8 years, working in non-profit broadcast Media (Newark Public Radio, Inc. / WBGO Jazz 88.3 FM), first in marketing, then development, most recently as the Director of Individual Giving. During the last part of my career as Senior Director of Marketing for Verve Records, I was the in-house producer of various visual marketing tools including: Music Videos; EPK’s; Bonus content for CD releases; promotional videos and Television & Radio spots. Please click on this hyperlink to check out my Vimeo page. I have also had experience as a Producer, working in various capacities on several jazz recording projects with Jane Ira Bloom and with the Wolff/Clark Expedition. I recently Co-Produced pianist/composer Michael Wolff’s first ever Solo Piano album, Zenith and just finished recording Michael’s new Trio project, which I’m also Producing. 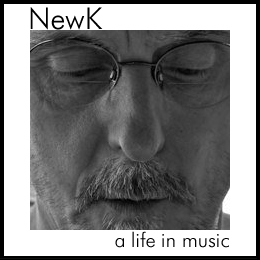 For examples of my various artistic endeavors, the NewK page and its accompanying tabs, will cover 40-years of my life in music and theater, with photos, reviews and more. Please visit regularly as there is much more to come. Thank You.